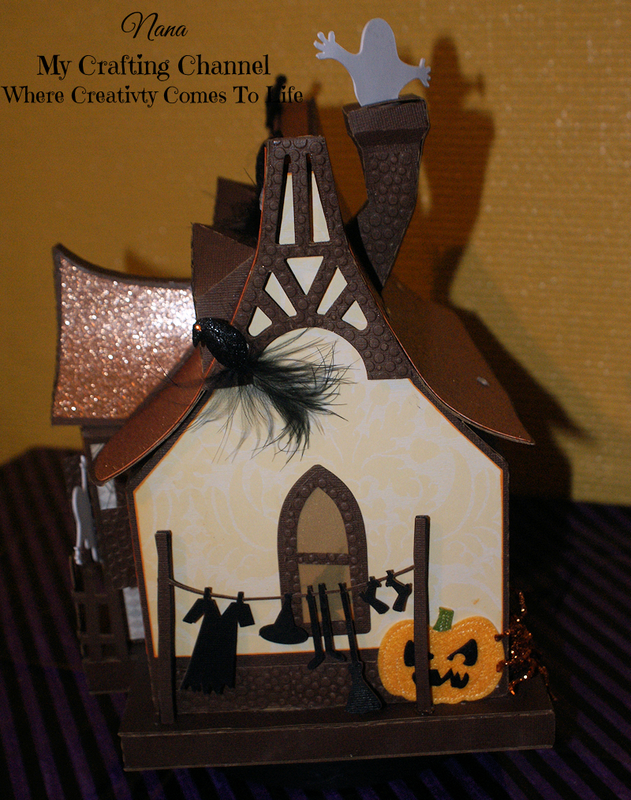 I love the soft colors I used, the copper colored roof, the cute embellishments and the silhouette images in some of the windows. OMG!!!!!!! This is absolutely amazing!!!!! I love everything about it! 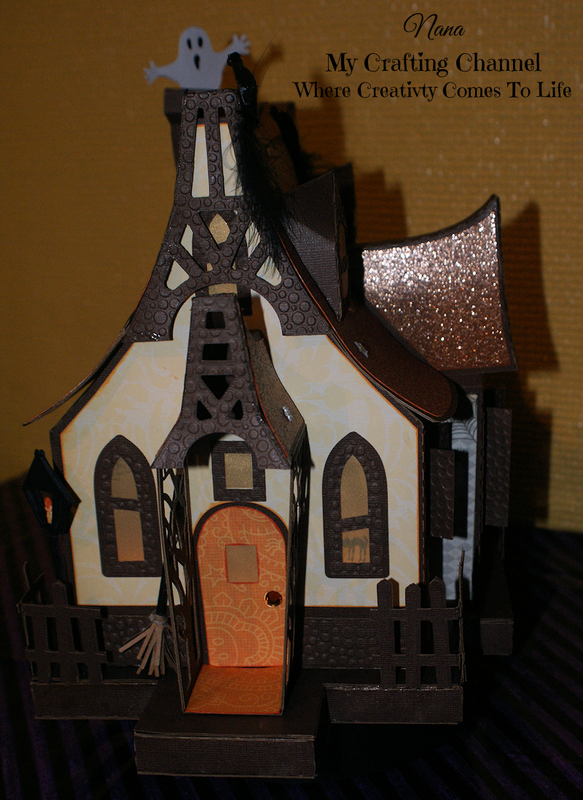 The detail is spot on, the little witch broom by the door, the silhouettes in the windows, the embellishments, and I love the sparkly copper roof and embossing! WOW!!!!! Oh triple WOW ...what an absolute beauty...Especially love the way you made the roof with the lovely embossing and glittery paper...super!! Stunning little Bewitched Cabin. Wonderful papers, the copper roof is perfect, the stove pipe is a work of art and this really shows your creativity. Thank you for joining us this week at HIMCR. Wowzers! This is fabulous Nana! I love the sparkly roof and all the amazing details. I especially love the crows - how fun! This is so awesome! An awesome creation. Thank you so much for sharing your lovely creation with us at Divas by Design. OMG!! and WOW! I love the fun ghost and Pumpkin details! 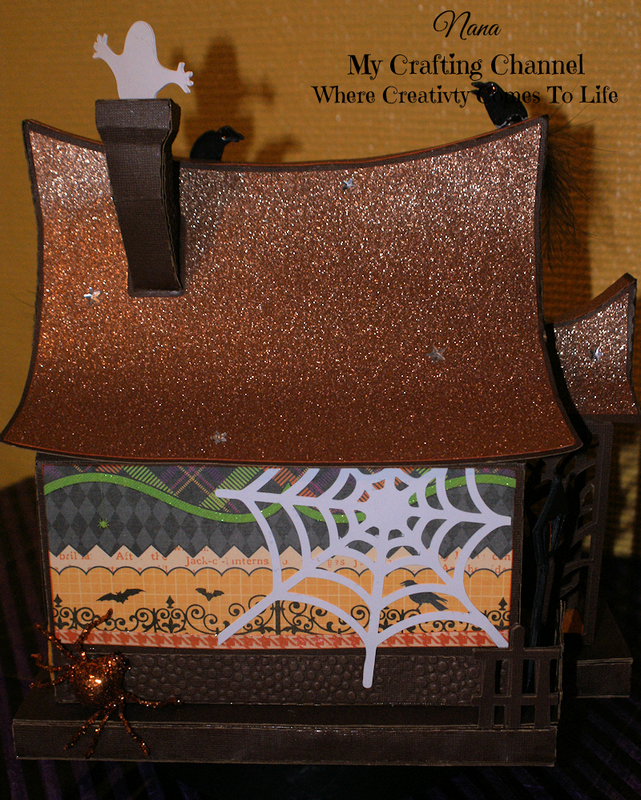 The glittered roof is Fabulous! Beautiful details on the front & back!! This is really, TRULY AWESOME!!! WOW!!! Such a fun project! Awesome job my friend!! Oh my gosh, shut the front door!! This is AMAZING! 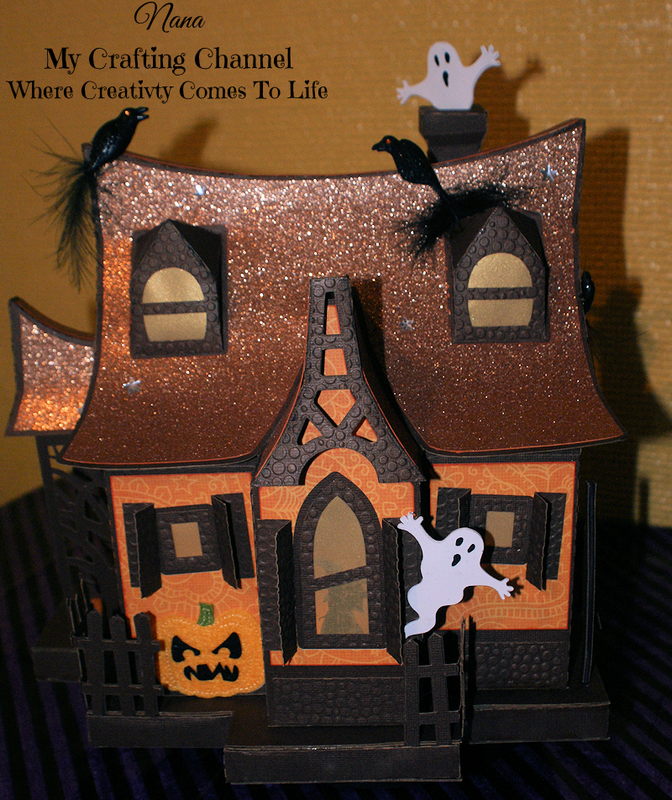 I LOVE the copper roof and the ghost coming out of the chimney...so cool! Wow, what an awesome project! I LOVE everything about it! So awesome Nana! What a spectacular project! Wow! The detailing is incredible and I appreciate the time you spent to make it so fantastic! Thank you for sharing your creativity with us at My Craft Spot! WOW, Nana!!! This is AWESOME!!! I love it!!! Have a great day. Wow!! This is amazing! I especially love that fun wash line!! Holy cuteness!! This really is incredible! I love it! Oh Nana how did I miss this it is AWESOME. So many different textures and elements.